Need to get data from Excel to SQL Server? Normally this can be achieved by using SSIS. Excel can be used as a source and/or target in a Data flow. But there may be situations where you need more granular control over which data gets imported to SQL Server. Perhaps there is a process where a user is involved in deciding which data gets inserted to the database, and the import may be initiated be the user. Or maybe some advanced calculations needs to be made to decide which values get inserted. Anyway, using VBA (Visual Basic for Applications) in Excel macro, it is rather simple to open a connection to a SQL Server database, generate the statements that will select values from the Excel cells and import them to a table. 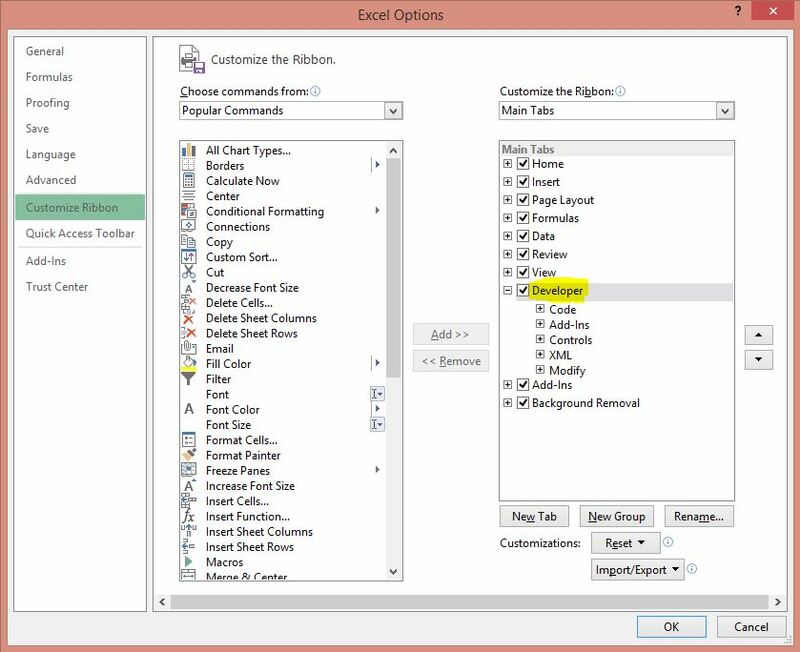 This blog post will show a simple example of how to export data from Excel to SQL Server. I am using Excel 2013 and SQL Server 2012 in the example. We are going to create a button that, when clicked, imports the data from the Excel sheet into the Customer table. conn.Open "Provider=SQLOLEDB;Data Source=ASUSBOOK\SQL2012;Initial Catalog=ExcelDemo;Integrated Security=SSPI;"
Do Until .Cells(iRowNo, 1) = ""
conn.Execute "insert into dbo.Customers (CustomerId, FirstName, LastName) values ('" & sCustomerId & "', '" & sFirstName & "', '" & sLastName & "')"
On row 10 above, you need to replace my server and instance (ASUSBOOK\SQL2012) with your own. Close the code window and save the Excel workbook. To include the macro in the save, you need to save as “Excel Macro-Enabled Workbook” with an *.xlsm extension. Note that this is just a simple demonstration. For simplicity I have hard coded the connection string and there is no error handling. This simple demonstration tries to insert new records into the table each time the macro is run. * If the customer already exists in the database, how do I update it? * How can I remove a customer from the database if it is removed from Excel? So I have expanded this demonstration to use the T-SQL Merge statement instead. Now this solution can handle inserts, updates and deletes that you do in the Excel file. Check out the blog post here! Thanks ,its very use full link. Thank You so much for such a simple solution Thomas!!! Will this work for all datatype, or should we declare different datatypes in the macro for different datatypes in the sql server table. That’s a good question 🙂 As you can see I only used VARCHAR datatypes in SQL Server and String datatypes in the macro precisely to avoid datatype issues which would otherwise make the solution more complex. I wanted to avoid that in this post since it was meant to show the basics only. But in a more “serious” project I would definitely use more exact datatypes than strings. However a more complex solution is required then since there isn’t an exact match between SQL Server datatypes and the datatypes in VBA. Further, you’d need some way to handle datatype constraint violations. Perhaps via error handling in the VBA macro. I needed a solution at work and your tutorial is spot-on. Thank you. Nicely explained. Simple and straight. Fantastisk Guide Tom, thankyou for the help :)! I hope you will make guide with different datatypes one day maybe ;)? Thank you very much for your post. This solution worked like a charm for my requirements. I have one problem with macro. Can you please tell me how to insert URL value into SQL table column. When i run macro all columns value of excel gets imported in SQL except column which has URL links which is shown as blank in SQL table. Please advice where I am wrong. That is probably caused by the ” signs at the beginning and at the end of the string. The string will be truncated at those positions. Good article, i was searching for that frm many days . How can we update particular roll cell . sConn = "Provider=SQLOLEDB;Data Source=<YourInstance>;Initial Catalog=<YourDatabase>;Integrated Security=SSPI;"
sSQL = "SELECT 'ABC' AS SomeValue"
Hi Andre, I don’t have MySQL installed, but yes the sConn parameter should be changed. To create a connection string you can for instance create an ordinary text file, rename the file extension from .txt to .udl and double click the file. Then create a working connection to your MySQL database. When done open the file in notepad to see the connection string. All this assumes you have the necessary drivers installed to connect to MySQL. Actually it is not cell by cell, it is row by row. But regarding how to send the entire table, the traditional solution would be to use TVP’s (Table-Valued Parameters) for this but I don’t think it can be done in VBA. Another solution that would probably be the best performance wise, would be to turn it around and instead pull the data from SQL Server. Either by using openrowset, or by using SSIS. If you have the possibility. OLE DB provider ‘Microsoft.Jet.OLEDB.4.0’ cannot be used for distributed queries because the provider is configured to run in single-threaded apartment mode. I also tried it as Excel 2010 version: testopenrowset.xlsx and received the exact same error. I have a doubt over here. i want to set some permissions for SQL table. if i did, then in that case this is not working for me. And if i remove the permissions this works. but i want to set permissions to SQL tables. please give me some solution. I am Getting Error in Connection String. The Error Message is “SQL Server Does Not Exist or Access Denied”. 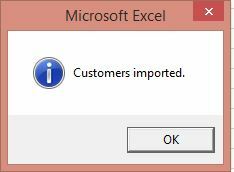 I am using SQL SERVER 2014. and Excel is 2013. Hi, are you sure the server reference in the connection string is correct? That is, following the format SERVERNAME or SERVERNAME\INSTANCENAME? If that seems to be correct, I’d say there is some permission issue. This is the Conection string which i gave. Thanks !!! . Got Output Man !!! Thanks Alot !!!!! Above code is really helpful but I am experiencing an issue. If I have duplicated customer id ,it’s not exporting. Is there any option to allow that. Thanks in advance for your knowledgeable tips. Above codes are really helpful but if I wanted to export duplicate customer id , then it’s not working. It would be highly appreciated, if you could provide any suggestion. after modifying something in excel ,export the same data in sql,then instead of replacing, it”s appending. Is that possible to replace.Any help wiuld be highly appreciable. That is because I’m using an INSERT statement in the demonstration. To get the behaviour you want, try the MERGE statement. Secondly, I have birth and death date columns in my database, but not everyone put into the database is dead (it’d be easier if they were. ), and whenever I pass a table to SQL that has a blank death date, it sets the date to 01/01/1900… Is there any way to make it pass null? conn.Execute "insert into dbo.Customers (CustomerId, FirstName, LastName) values ('" & sCustomerId & "', NULLIF('" & sFirstName & "', 'abc'), '" & sLastName & "')"
This has worked perfectly where birthdate is unknown, but for some reason it’s not working for deathdate. It is easier to verify the syntax if you extract the SQL that will be executed. To do that, simply replace “conn.Execute” with “MsgBox”. Then you’ll get a dialog that you can copy from (Ctrl+C) and then test in management studio. Hopefully, if there are any errors they will be more visible. 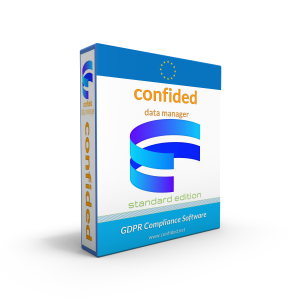 MsgBox "insert into dbo.Components (ArtistID, Forename, Surname, Nationality, BirthDate, DeathDate) values ('" & sArtistID & "', NULLIF('" & sForename & "', ''), '" & sSurname & "', NULLIF('" & sNationality & "', ''), NULLIF('" & sBirthDate & "', ''), NULLIF('" & sDeathDate & "', ''))"
… which seems correct to me (forget the A,B etc, I hardcoded the variables). There might be a character problem also, check so that you use ” and ‘. Or is that a browser thing… ***edit*** yes, it is… use the characters from the boxes above. NULLIF(‘” & sDeathDate & “‘, ‘0’), which worked a treat! I know this is a little off topic, but I don’t suppose you know how to get around date formats between Excel and SQL? This worked fine on 11th of March, but wouldn’t work on 14th… I was confused for ages until I realised it’s a difference in date conventions… so SQL had actually stored the date as the 3rd November. I’ve tried many ways to get around this, but they don’t seem to work, so I’m sure I must be missing something? Then you wont have to specify a value for that column in the insert statement. Dates are represented differently in SQL Server and Excel. So perhaps it is sometimes better to convert the date to a string before inserting in to the table. Thank you so much for the code! It works flawlessly and has saved me a lot of time and efforts in getting my job done. Quick question – After importing the excel data to the SQL server table, if there are any data/ field changes made to a particular set of rows – I might need an option to refresh the existing data in the SQL table. Say, i have 5 customer ID’s alone in my excel table and i imported them to the SQL using your code. Now, i added 2 more customer ID’s to the excel. How will I be able to append these extra customer ID’s to the SQL table without having to import all 7 again creating 5 duplicates in the table? It would be of much needed help if you could provide us a coding sample for the requested data. conn.Execute "if not exists (select * from dbo.Customers where CustomerId = " & sCustomerId & ")" & " begin insert into dbo.Customers (CustomerId, FirstName, LastName) values ('" & sCustomerId & "', '" & sFirstName & "', '" & sLastName & "') end"
Hi, the rows in Excel are processed in order. In SQL Server however, rows are only stored in a specific order if there is a clustered index on the table. Such as the CustomerId column in my example. Thanks for your post as it has helped tremendously. 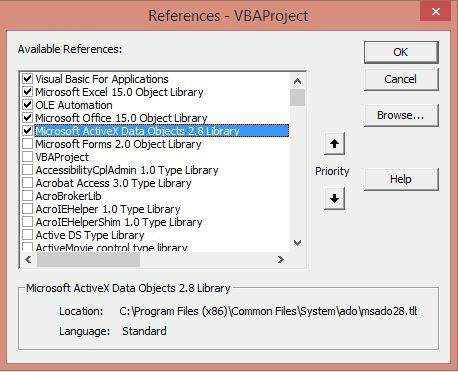 In the following VBA, which written as is, works, I have 8 more cell/rows to reference. At the moment I am using static number values to have the query run. But if I add on more item definition, i.e. Hi, what’s the actual error message? Might have missed it but I can’t see that in your comment. Actually I discovered it was a data type mismatch in the sql table, so once I changed the data type it worked, so issue resolved. Thank you as it was your original post that led me to this project. Not much info on excel to sql via vba on the net. This is exactly what I’ve been searching for. I can’t wait to go to work on Monday and try it out. Thanks for a great post! When running the sql below, I only get 17 rows of data instead of the 121 rows that exist. Can you see anything that is incorrect? Hi, I can’t see any errors really… but try to show the insert statement for each loop iteration in an MsgBox. Perhaps then you’ll be able to see what the problem is. Great Solution, there isn´t much excel vba to sql on the net and this is great. one question, does this also handle updates? for example if i change a value in one of the columns and export it to SQL will it create another row or update the one already there? If not could you provide some code for and update please..
Hi, this solution will only add new rows. To get the behavior you want, one solution is to use a MERGE statement instead of the INSERT statement that is used now. I just need to update 2 specific cells from excel to SQL. How would I do that? And remove the rows that handle looping. Hi, I’d strongly suggest not bypassing constraints since they are probably there for a reason. That said, I’m guessing you run into foreign key constraint violations, since you do inserts in many tables? If so, and if your data is “healthy”, you probably just need to change the order of the inserts. E.g. you need to insert “products” before “orders” if there is a foreign key constraint that states that an order must have a product. I need use WHERE NOT EXIST FUCNTION , I need COMPARE of PRIMARY KEYS IN THE EXCEL WITH OF SQL for Insert Rows IF NOT EXIST in the Database. Hi, try “WHERE CUSTOMER NOT IN (SELECT CUSTOMER FROM MD)” instead. I run the macro in my file, after uploading 32767 row the macro crash with the next Error “Overflow(6)”, i try uploading one file excel with more 200 thousand rows in my sql. Your have idea for fix this. Sounds like some sort of data type overflow, but I can’t answer without more information. With that much data, investigate if you could use SSIS instead. This is due to the limitation on the int datatype. Changing your field datatype from Int to Double should fix the issue. It works like a charm for me ! Just had to add the “User Id” and “Password” in the connection string and remove the Integrated Security part. Thank you very much for this article ! Thank you, it helped me a lot! How can I add to the connection the user ID and Password, please? Tomas, I Insert the data, but I am wanting to now merge with another table, and do it from within the macro. I’m thinking the best way to go about this would be to call the .sql file I have written up to accomplish this in MySQL at the end before I close my connection. I cannot find the proper syntax for this though. Would you know how to do this? Hi, I’m not sure I understand what you are trying to do exactly, but why don’t you store the sql file as a stored procedure in the database and call that? Hi Thomas many thanks for this. all the variables (s1, s2, s3 etc.) are Dim’d as Variant because some columns are text and some numeric. The variables load correctly as String or Double. But I still get the same error, any suggestions greatly appreciated. “Values (‘” & s1 & “‘, ‘” & s2 & “‘, ‘” & s3 & “‘, CAST(‘” & s4 & “‘ AS Numeric(12,2)), CAST(‘” & s5 & “‘ AS Numeric(12,2)) ….. I am looking for excel VBA macro which will copy multiple file from folder and move them to another folder ? and also would like to provide like operator in file name. Can you please tell if its possible and how? Hi, perhaps there is some useful information at stackoverflow? I’ve tried your example and everything was fine till i tried to add more arrows under the once you created in the example. i have not duplicated CustomerId, i think it’s because the loop starts again reading the rows when i press the button for “add” new rows. By the way…i forgot to tell that the excel file converted to sql server doesn’t have primary key, so… i supposed is easier? I think you are right. Each time you press the button the same rows are inserted to the SQL Server table and the primary key prevents that. I don’t know anything about your data, but a very common scenario is to check if the record is already imported. If not, then import it. If it is, then check if it is changed and if so update it. Else do nothing. All this is handled by the MERGE statement. Thank you for this. This made exporting data into our database a snap. Using this in a template makes manual creation a thing of the past. This is awesome! Thanks so much! I’d been triggering SSIS packages from Excel before, which was just messy! This is amazing. I am using this to push data in excel with a button, to a table in SQL. I do have a question as I am receiving a fault. Also I am showing you my database table column datatypes. Hi Tomas thank you for this very useful post but I have a question. I did everything as shown but getting this “Operation cannot be completed when object is closed ” error at the below line. I checked it online but couldn’t find a solution..
hi. would you please hint me about passing textbox value to SQL? Thanks for reply. yes, but I receive error in “con.Execute” line when I trace it by F8. Here is some of my codes . Dim sDate, sFullName as String ‘The Data type in SQL table is nvarchar . I found it finally. I picked a command button from ActiveX Controls. It didn’t know text boxes n option btn. But now I pick one from Form Controls and it works. I am thankful for all your help, Sir. I followed these instructions step by step it worked once but now it keeps giving me Sub Or Function not defined and I have checked everything and can’t see what I am doing wrong? Hi, check for syntax errors in the script. Else, you can try to recreate the macro. How can we delete rows with the same style? hi I have a comment column which has ‘ character as a value. Since this is a key word the SQL is breaking is there a work around for the same? This Post is old but still it is guiding people. Thanks man, This helped me a lot. Wanted to appreciate your efforts. I have some data that has a ‘ character which is causing a run-time error. Is there a work around? I understood that you made a code to insert ‘N’ number of rows with fixed number (‘3’) of columns, but Could you please help with the code to insert ‘N’ number of rows with ‘N’ Number of columns?